TAKE ADVANTAGE OF OUR SPECIAL INTRODUCTORY PRICE! Your search for the best sports water bottle is over! 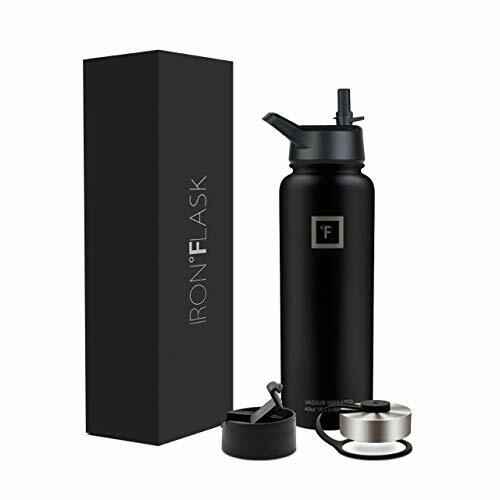 Say hello to the best Sports Water Bottle out there, IRON FLASK! PLASTIC WATER BOTTLES? NO THANKS! 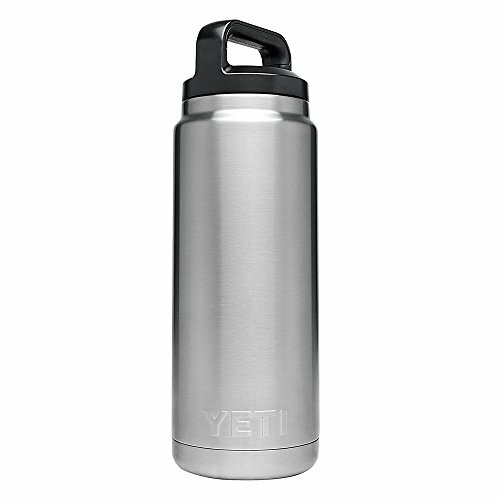 The IRON FLASK water bottle is made of premium 18/8 stainless steel that is 100% BPA FREE. 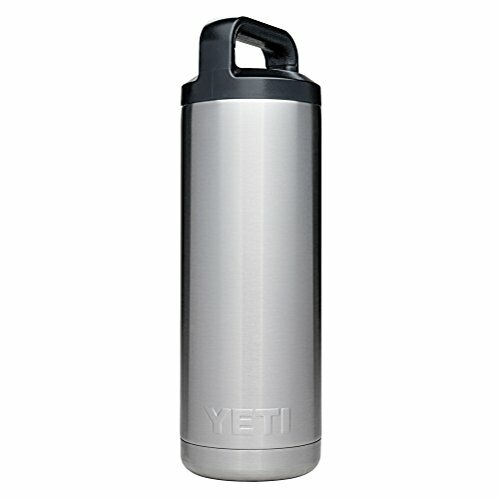 This bottle will keep your drinks cold & hot for many hours! It will also never sweat no matter what the drink temperature. ARE YOU TIRED OF LOW QUALITY WATER BOTTLES THAT SWEAT AND LEAK? LOOKING FOR A WATER BOTTLE TO CARRY ANYWHERE? This double wall insulated water bottle will meet all your needs! Whether you fill it with boiling water or a pack of ice, the bottle will never get hot or cold to carry! 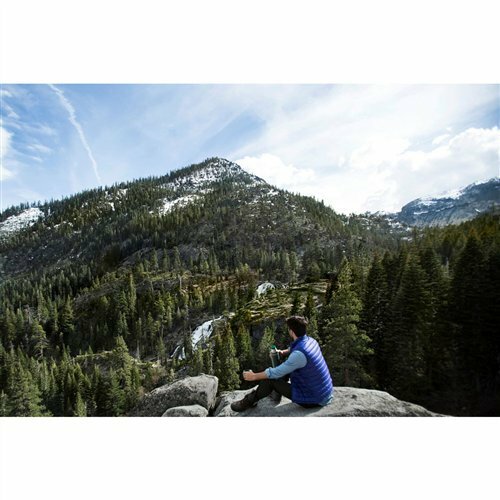 You can use at the office, the gym, or even for outdoor activities such as camping and hiking! What are you waiting for? Go ahead and order the #IRONFLASK already! Equal in size and stature to Stanley's 1.1-quart Vacuum Bottle but with 12 extra ounces of capacity, the 1.4 Classic Ultra Vacuum Bottle holds a full cup more. Double-wall vacuum insulation keeps coffee hot around the clock when pushing on, sleeping out or working a graveyard shift. Locking handle fits work gloves and a twist-open stopper pours at any angle.Durable rust-proof finish..Easy grab handle even with gloves, locks down for easy packing..Easy pour stopper, twist and pour from any angle..Materials: Stainless Steel..Size: H 14.5 in. x W (at base) 3.90 in..Weight: 2 lbs. 2 oz..Capacity: 1.4 qt.. Thermos keeps hot/cold 24 hours. Coffee stays hot (a full shift longer) than most standard bottles. 11 oz.lid doubles as drinking cup. This Rambler Bottle is perfect for when you need a drink for the road but won't be off the grid for too long. It's the go-to bottle for an afternoon hike, wetting a quick line, or solo journey that might include a detour. 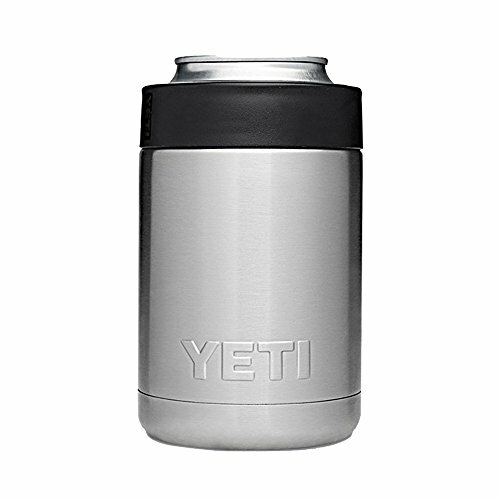 Made of 18/8 stainless steel, built with double-wall vacuum insulation, and always ready with the No Sweat Design, the Rambler 26 oz. Bottle is a great drinking option for your personal outdoor exploration. INSULATION INNOVATION: The double-walled, vacuum insulated TempShield Insulation, the same technology used in all Hydro Flask products, will ensure that your meal of choice maintains its temperature for many hours to come. The Food Flask will keep contents hot or cold up to 3 hours. It will even keep your food at temperature if stored inside a box-style cooler with other food or drink items. JUST THE RIGHT SIZE: The newly designed Food Flask is just the right size for snacks and in-between meal temptations. Also great for kids' lunches at school & summer camp or ready-to-go office lunch (Say goodbye to that gross office microwave!) The Food Flask is like a mini-fridge that you can actually carry, small enough to easily throw into a backpack, book bag, or purse. SAVOR THE FLAVORS: Take your time and enjoy the rich flavors and aromas of your favorite gumbo or stew. Keep your food hot or cold for longer so you don't have to feel rushed when eating. Eat at your convenience knowing that your Food Flask will be waiting for you. BE PREPARED: With the excellent insulative qualities of the Food Flask, you will be able to fill your flask with hot soup before heading out the door, and by lunch you can enjoy your still-hot soup or stew. In addition, once you realize how great it is to have a flask that keeps your food hot, you will be less tempted to eat out for meals. 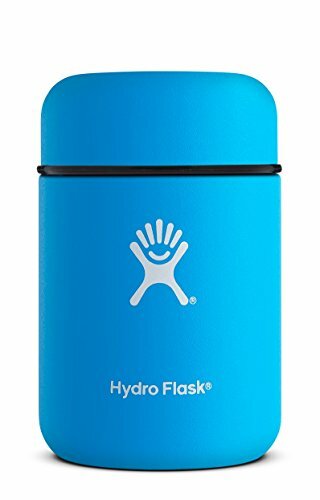 Warranty: Hydro Flask Limited Lifetime Warranty Against Manufacturer Defects - While the lifetime warranty does not cover ordinary wear and tear, including dents, scratches, powder coat chips from the flask being dropped, damaged, etc., it does cover manufacturing defects.